Michelle and Ben choose the Adelaide Zoo as their ceremony venue. On the immersion lawn in a secluded area guests were surrounded by beautiful green lush tropical plants while waiting for the bride to arrive. The couple couldn’t have asked for better weather on a June day. Clear blue sky, warm sunshine and no wind – how lucky! Celebrant Jess Maida facilitated a wonderful and funny ceremony sharing the story of how Ben and Michelle met and what they love about one another. Of course, a quote from Doctor Who needed to be part of the ceremony as he is the reason the two got to know each other in the first place. After exchanging their own vowels both referencing Ben’s ‘bad’ jokes, the couple signed their marriage certificate while I was playing James Blunt’s ‘make me better’ as requested by the couple. The ceremony concluded with Gabrielle’s Alpin’s version of ‘the power of love’ while guests eagerly congratulated the happy couple. After the ceremony guests were able to stay at the zoo and check out some amazing animals while Michelle and Ben were off taking pictures with the giraffes – I cannot wait to see those! 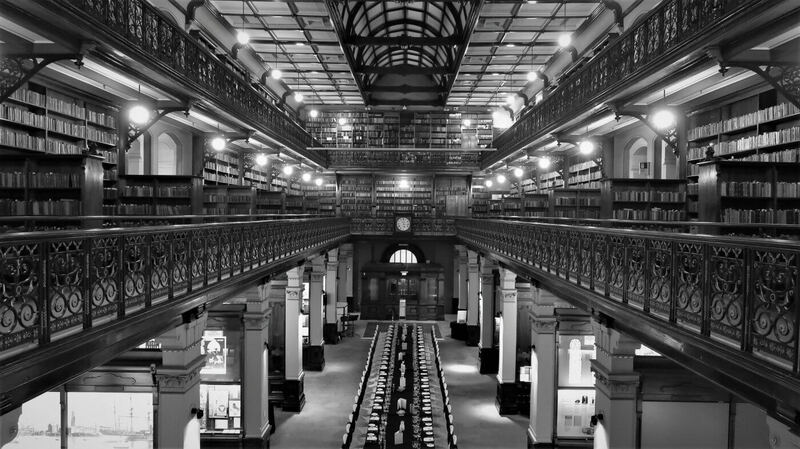 The reception was held at the Mortlock wing at the State Library – an absolutely stunning location! Guests entered and were enjoying pre dinner drinks at the balcony looking down into the reception area were I was playing more acoustic hits. One long table among hundreds of books and historical booths on the side certainly set a romantic mood. The happy couple was announced walking in to my version of Ed Sheeran’s ‘perfect’. After some more acoustic live music it was time for speeches. Guests were bidding on how long the speeches will go for in total as Ben had been quite specific on how long everyone could talk for – the best man started his speech with saying that the first part of his speech is not part of the allocated time – the speeches went for a total of 30 minutes and therefore longer than organised. After this refreshing bidding game the couple had requested that I play Peter Gabriel’s version of the ‘book of love’ while they were cutting their wedding cake. Guests were enjoying dessert while I kept playing. Soon, the MC ask Michelle and Ben onto the dance floor for their first dance as husband and wife. I was playing Martha Marlow’s “feels like home”, this was for sure my favourite moment – there is just nothing more enjoyable for a singer to sing the first dance at the couples most important days in their life – such an honour! As requested I played one more song acoustically ‘Like I’m gonna lose you’ by John Legend and Megan Trainor, which certainly got the dance floor moving. Then it was time to swap to ‘dropping some fat beats’ as announced by the MC to finish off this great day. Thank you Michelle and Ben for choosing me as your musician and DJ, it was a wonderful day and I hope it was everything you dreamed off! All the best for your life together. This entry was posted in Weddings and tagged acousticsingeradelaide, weddingbandadelaide, weddingDJ, weddingDJadelaide, weddingentertainment, weddingentertainmentadelaide, weddingmusicadelaide.